The MP was sentenced for three months for perverting the course of justice after lying to police to avoid a speeding charge. The Norwich South MP resigned from the Shadow Cabinet last year over Labour's Brexit stance. 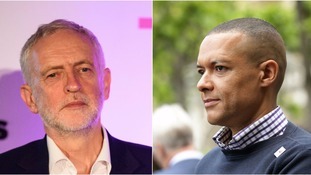 The Labour leader has called the Norwich South MP's remark "completely unacceptable" and says Clive Lewis has personally apologised to him. Jeremy Corbyn has cancelled a public appearance in Norwich Credit: Press Association. Labour leader Jeremy Corbyn has pulled out of a public appearance in Norwich this weekend. 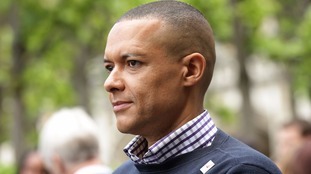 It comes after Norwich South MP Clive Lewis was blasted on social media for making an inappropriate comment during a rally in Brighton last month. Mr Corbyn had earlier announced plans to visit the Norwich to campaign alongside Shadow Chancellor John McDonnell. But after Mr Lewis was forced to apologise for his comment, when a video of the rally emerged online, the party leader changed his mind. 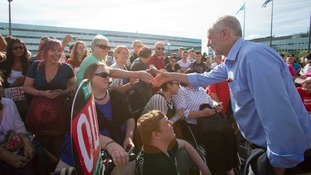 Mr Corbyn will still visit Norwich but will hold an event with party members only. A Norwich MP has apologised "unreservedly" after a video of him telling someone to "get on your knees b****" emerged. MP Daniel Zeichner said he'll remain committed to fighting for both Cambridge and Labour after resigning from the party's frontbench over the party's policy on Brexit. The Labour MP stepped down from his position as Shadow Transport Minister in order to vote in favour of an amendment to the Queen's Speech supporting the UK's membership of the single market - despite leader Jeremy Corbyn telling MPs to abstain. Mr Zeichner said it's been an honour to serve on the frontbench under Jeremy Corbyn. @jeremycorbyn I will remain committed to fighting both for Cambridge and for Labour from the backbenches in Parliament. The new MP for Bedford, Labour's Mohammad Yasin, has been out in the borough enjoying his first full day in office. He took the seat from the Conservative's Richard Fuller, with a majority of almost 800 votes in Thursday's election. Mohammad Yasin has lived in Bedford for more than 25 years and he was a Labour borough councillor for more than a decade. I want to work for the people, work for the Bedford hospital, I want to work for the local schools and our police. There are many other issues which I will be dealing with in the future, but these are the main issues in Bedford. That's the reason I stood in this election, so I can make a difference. 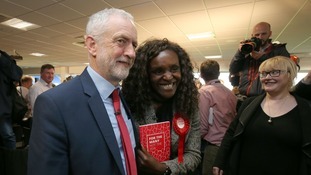 Sandy Martin defeated the Conservative Ben Gummer, who was one of the architects of Theresa May's ill-fated election campaign.